Every year on 11 February, the United Nations, partners worldwide, women and girls mark the International Day of Women and Girls in Science. Why does it matter? Recent studies suggest that 65% of children entering primary school today will have jobs that do not yet exist. While more girls are attending school than before, girls are significantly under-represented in Science Technology Engineering and Mathematics (STEM) subjects in many settings and they appear to lose interest in STEM subjects as they reach adolescence. Debunking the myths that girls do not like the sciences and other and gender stereotypes, along with investment in teacher trainings, gender-responsive technology and innovation can reverse these trends. Dr. Maty Konte added: “Science is gender neutral and needs you. Girls, you are as good as boys in letters and numbers. Be determined and inspired. Follow your ambition and remove any obstacles on your road to success. Science starts today. Tomorrow you may not catch up with your male peers. 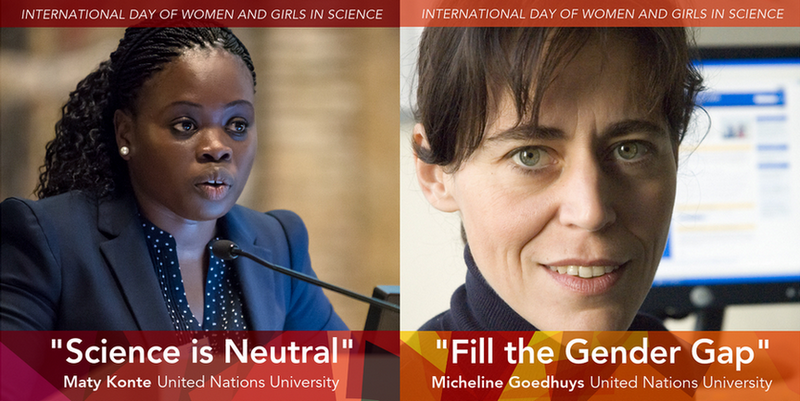 Read more about the International Day of Women and Girls in Science on the UN Women website. This post was updated on 14 February 2019, with additional comments by Dr. Maty Konte.